Nowadays, few families exactly resemble the nuclear/traditional family which the French Civil Code seeks to protect with its strict succession laws – often referred to as “forced heirship rules”. The entrenched protection of children dominates this area of French law. Protection is however for natural and adopted children only. Step children do not benefit from the “reserved heir” status. Reforms introduced to French succession law in 2007 mean there is more flexibility now than previously but there has in fact been no change to the underlying principles. Owners of property in France may have read about an EU regulation adopted in 2012 by the majority of EU member states (apart from the UK, Ireland and Denmark). This regulation provides that from 17 August 2015, the law which shall apply on the death of an EU national will be the law of the state of the deceased’s habitual residence at the time of his death. However, individuals will have the alternative option of nominating the law of the State of which he/she is a national instead. As the UK has, for the time being, opted out of this new regulation – it is anticipated that UK residents will still be subject to French law for their French property. From 17 August 2015, UK nationals who are resident in France are able to choose the law that they want to apply to their succession and will be able to opt for UK law to govern their estate thereby escaping the forced heirship rules. Whilst this may at first glance appeal to many UK nationals the sting in the tail is that French inheritance tax will still apply. As such, if a UK national chooses to leave all or part of his estate to an unmarried partner, friend and/or to a step child, tax at a rate of 60% will be charged on the value of the estate or part of the estate which the beneficiary receives. For now however, we will examine current French succession law and the various estate planning tools which are available to ensure a modern family’s assets can be distributed as the owner(s) would wish. The use of a tontine clause is a long established way of making sure that French property can pass to a surviving co-owner (whether married, unmarried or in a Civil Partnership). On the death of the first co-owner the property will be deemed to be owned solely by the survivor. The tontine only relates to the French real estate. It does not apply to any other assets which may be subject to French law at the time of the first death. A tontine provision must however be included in the property purchase deed at the time of the initial purchase. It cannot be added later. Whilst this protects the surviving co-owner, the effect of such a clause is to disinherit the children of the first to die. Another means of giving protection to a surviving joint owner is by the adoption of what is called a universal community marriage regime. Such an option is however only available to married couples. It can be set up to cover all assets owned by the couple (if they are domiciled in France) or alternatively it can be limited to just the French real estate (as is the case for UK domiciled spouses). This regime has the effect of providing that on the death of the first spouse the property will pass to the surviving spouse. It is most suited to a family where there are no children from outside of the marriage, as those children will still inherit from their surviving parent in due course (assuming the French asset is still owned when the second parent dies). Whilst it is still possible to put in place such a marriage regime when the couple have children from previous marriages, the children of the first spouse to die are disinherited on the death of their parent. Disinherited children have a right to challenge the universal community option to recover their lost rights. 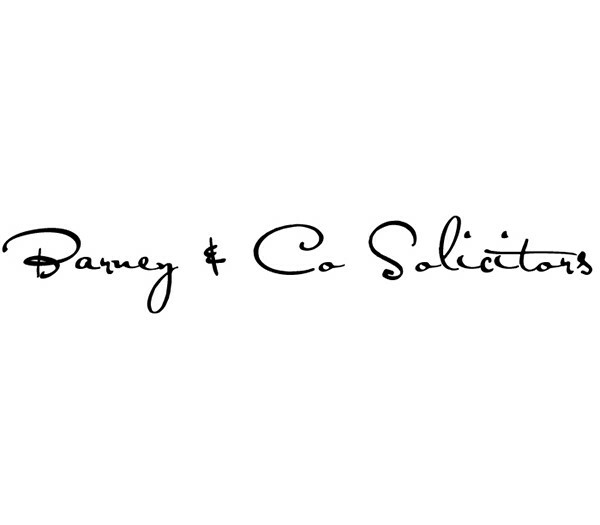 The risk of a challenge being made therefore needs to be considered prior to the adoption of this marriage regime and the notary will be anxious to ensure the risks are fully understood. So what other options exist? The 2007 French succession reforms introduced the family pact (pacte de famille or pacte successoral). This is an arrangement which can be put in place by a deed drawn up by a notary in France. It creates flexibility for families with step children allowing them to vary the French inheritance restrictions so as to better protect both the surviving spouse and the stepchildren. Families can use such a pact to organise ownership of their French assets for example by agreeing that on the death of the first spouse his or her children from a previous marriage give up or postpone their right to inherit a share of their deceased parent’s assets in favour of their step father or mother… If relations between members of the family which includes children from a previous marriage are good, this can be effective to avoid the consequences of the strict forced heirship rules. Children must however be at least 18 years or over to sign such a pact and they are required to sign in front of a separate notary who will ensure they are signing of their own free will and have not been pressured into the decision. Another estate planning mechanism exists and is often recommended to families where one spouse has children from a previous marriage and the other doesn’t or where there are no children and the couple wish their own blood relatives to ultimately inherit their estate. This can be achieved by drawing up a French Will which includes a residual or a gradual legacy. An individual without children has freedom to leave his or her French asset(s) to whomever he or she wishes. A will can be made in favour of his/her spouse providing that on the subsequent death of the surviving spouse, the share of the French house originally owned by the first spouse is to pass to whomever the first spouse named as residual or gradual beneficiary. Similar tax benefits apply to any assets left to a residual beneficiary of the first spouse, as long as he or she is a relative of that spouse. The difference between residual and gradual legacies is that where a residual legacy is specified, the surviving spouse is not under any obligation to preserve the assets for the residual beneficiary and the latter would therefore only receive whatever is left (if anything) on the death of the surviving spouse. On the other hand where a gradual legacy is given, the surviving spouse cannot sell the asset and can only continue to use and enjoy it during his or her lifetime. On his/her subsequent death, the named beneficiary of the gradual legacy will receive the asset (or share of it) as if inheriting it from the original owner and if the beneficiary is a relative of the original owner preferential tax allowances and tax rates apply. Organising who shall benefit on your death is a complex subject and the different options set out above are just a snap shot of what can be considered. The explanations given are not however exhaustive and professional advice must be taken to ensure you fully understand the provisions and the legal and tax consequences of each option. The information in this article is provided for informational purposes and does not constitute legal, professional or financial advice. We encourage you seek the advice of a professional before acting on any of this information. Any hyperlinks to other resources on the Internet are provided as sources and not intended as an endorsement.